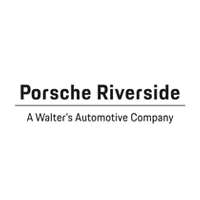 If you’re looking to customize or repair your Porsche, you’ll find genuine Porsche parts for sale in Riverside at Porsche Riverside. Our parts center keeps an extensive inventory of genuine OEM replacement parts and accessories that allow you to take your Porsche to the next level or preserve the integrity of it during repairs. We understand that buying the accessories and parts needed for your Porsche is a major investment, and we like to help our customers save by regularly offering Porsche parts specials in Riverside. Be sure to check out our current specials, and make use of your Porsche Riverside Legacy Rewards Card! You’ll save 10% on all service, parts, and accessories with every visit! Take advantage of our convenient online form to order the parts you need from the comfort of your own home. The friendly and knowledgeable staff at our parts center serving Los Angeles, Chino Hills, Ontario, and the surrounding areas is available to answer any questions you may have and to notify you as soon as the part you ordered becomes available. For more information about our selection of genuine OEM parts, contact us at (888) 294-6963.